Our experienced team has the expertise to build and maintain everything from custom database applications that can be used to run your entire company, to mobile iPhone/Android Apps to be resold, to simple marketing websites. IGI has been successful in developing custom intranet and extranet applications to replace limited database applications like Filemaker Pro, Lotus 123, and many others. These web-based applications are designed to help businesses manage employees, customers, schedules, sales, inventory and more. We offer a wide variety of programming and design services to help realize any vision, and our diverse team can work with any code base including WordPress, ASP.Net, Ajax and many more. Our responsive project management staff will work closely alongside you every step of the way to assure your full satisfaction with your development experience. Our process begins with helping to turn your vision into a list of deliverables, which will then develop and allow you to test throughout the process before launching the project. Your constructive feedback provided along the way allows us to truly customize your experience and deliver exactly what you are looking for every time. 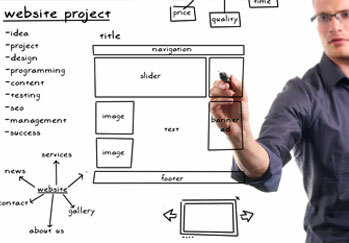 We also support the on-going maintenance of existing websites, whether built by our team or not. We offer a wide variety of programming and design services to help realize any vision.